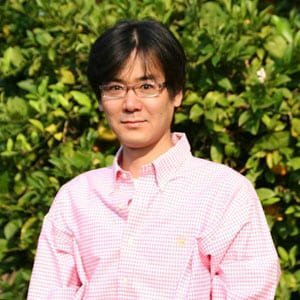 Hirokazu Yasuhara has assumed a new role at Nintendo of America’s Redmond, Washington offices, Gamasutra report. Having worked as game director on the early Sonic the Hedgehog titles, Yasuhara has an established career within the industry having worked for major companies and contributing to successful franchises over the past two decades. He worked on the Sonic the Hedgehog series from the 1991 original through to Sonic R in 1997, moving to 2K Sports’ Visual Concepts Entertainment division around 2000. Naughty Dog beckoned in 2002, where he held a role as senior game designer on the Jak & Daxter and Uncharted franchises. Yasuhara has most recently worked at Namco Bandai on 2012 release PAC-MAN Party, with his LinkedIn profile confirming that he moved to “Nintendo NST”, or Nintendo Software Technology, just last month. It was rumoured recently that the American-based studio had been given a green light regarding a pitched game concept. The studio has previously worked on prominent projects including Ridge Racer 64 and Pokémon Puzzle League on Nintendo 64, as well as the likes of Wave Race: Blue Storm, 1080° Avalanche and The Legend of Zelda: Collector’s Edition for the GameCube.